AHP’s Mauro Ossola facilitated a workshop on Pilates and Parkinson’s Disease at the Annual McEntire Education Summit in July. The event, in Rochester Michigan, was attended by educators from around the world and was created to share experiences with one another as professionals and to further work with clients. As well as being AHP’s Studio Manager, Mauro is a qualified McEntire Educator. Kyria Sabin – who has redesigned classic Pilates equipment the Guillotine for the modern studio – recently taught a workshop to Alan’s team of instructors. Kyria, a long-time colleague of Alan’s, is Program Director of Fletcher Pilates in the USA and has served on the PMA national board. Alan’s studio was the first in the UK to purchase the redesigned Guillotine, which he describes as an extremely versatile piece of equipment. The Guillotine was one of Joseph Pilates’ original machines, but in the New York studio it was installed in a doorway – not necessary a practical option everywhere! The redesign has brought its benefits to a new generation of Pilates instructors and clients. 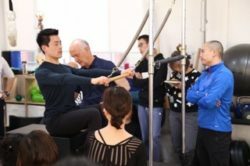 Alan recently taught an intensive 5 day schedule at the Shanghai studio of Sino-British Pilates.The three day programme for teachers covered topics including Pre-Pilates, Moving For Life, Know Your Spine plus a new take on some of the original Pilates mat exercises, and was followed by two inhouse staff training days for instructors based at the studio. 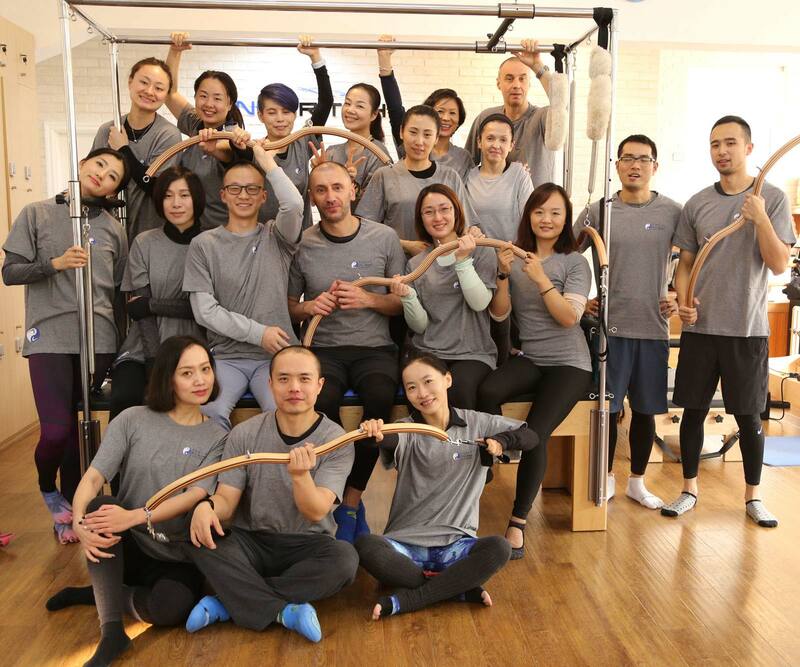 Sino-British Pilates trains teachers for Personal Training and Group Class Instruction with a full programme of courses. AHP’s Mauro Ossola taught the techniques of the Arcus Workshop at the studio in November. A specialist weekend course for Pilates teachers focusing on Pre & Post Natal work will take place at Alan Herdman Pilates at Third Space over the weekend of July 8-9, 2017. Taught by Carolyne Sidhu Anthony, founder of The Centre For Women’s Fitness, the course prepares the instructor to understand the physical, mental and emotional issues of the pre/post natal client. The 22 hour intense certification course is geared towards the experienced instructor who can assimilate information quickly. We are delighted to be the UK host for this important course which has been successfully taught worldwide. More information can be found on The Centre for Women’s Fitness website. This year’s Pilates Educational Conference in Rome will be lead by Alan Herdman and Anna Maria Vitali of the Fisicamente Education Program. Taking place from 12-14th May 2017, the Conference is dedicated specifically to the deepening of the main theoretical and practical issues of Pilates. Theoretical lectures, practical exercises and group lessons will combine to deliver a programme suitable for all Pilates instructors teaching in both one-to-one and group classes. The Conference will deliver approximately 22 hours of study over the three days, which will be split into morning presentations, with practical demonstrations in the afternoon, and delegates can attend for one, two or all three days. For more information and an application form please email Daniela at Fisicamente. or visit the website. 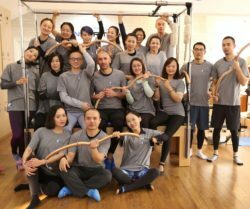 Bodyworks Shanghai ran a successful programme in late November with AHP Studio Manager and instructor Mauro Ossola training Pilates teachers on the techniques of the Arcus. 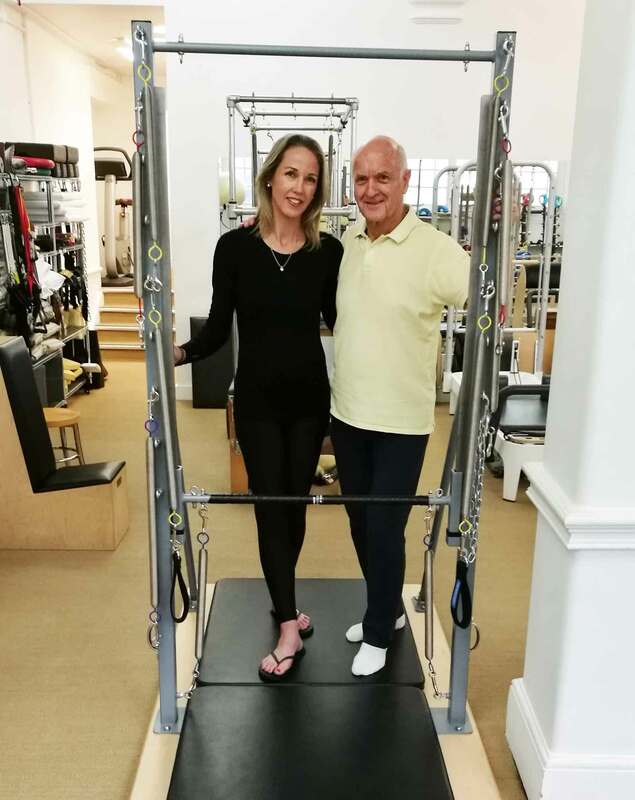 The video clip on the home page gives a taste of the versatility of the Guillotine, and shows Alan working with Kiria Sabin of Fletcher Pilates. Video courtesy of Balanced Body. Left: An early photograph shows Eve Gentry – a student of Joseph Pilates and now considered one of the “elders” – using the original Guillotine. 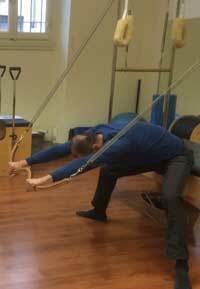 Find freedom of movement, add exercises to your practise and create more space in your body at this new Arcus apparatus Master Workshop with Mauro Ossola. The workshop takes place on Saturday November 12th, 2.00-5.30pm at BodyMap studios at Lower Marsh, London SE1, and places are £50. To book your place or for more information visit the website or email. 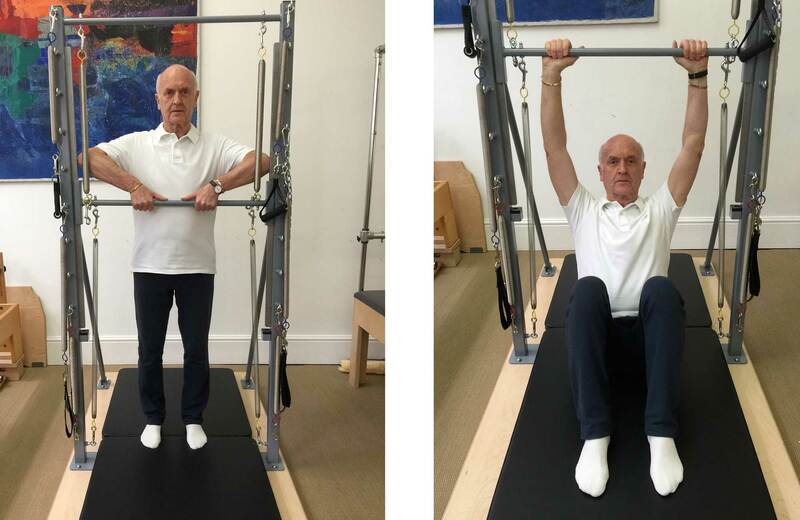 Alan will be teaching 5 separate workshops at the Pilates in Asia Convention, with topics ranging from Pilates for the Mature Client to Cadillac for Every Body. The Convention, which takes place in Seoul, Korea over the three days Saturday-Monday October 1-3, includes workshops and seminars, discussion forum and a trade show with 30+ exhibitors. Alan is one of a distinguished line-up of international presenters from Europe, Asia and the USA. For more information on the Convention and Alan’s workshops, please visit the Pilates In Asia website. Alan will teach workshops on both days of the inspiring Celebration of Movement conference on 10th-11th September 2016 at The Radisson Blu Hotel, London – an action packed weekend of dynamic classes & workshops for professional Yoga and Pilates practitioners. More information about the event and booking details can be found at the Garuda website.